Brought me straight back to my Peace Corps volunteer days in Papua New Guinea. Beautiful, beautiful! The lighting is phenomenal. The story behind "Dani girl in Timika, Papua"
This sweet girl came up to me on the busy and muddy market of Timika, the small town near the South Coast of Papua, formerly known as Irian Jaya. Shot with Canon eos 500d in October 1999, scanned later. 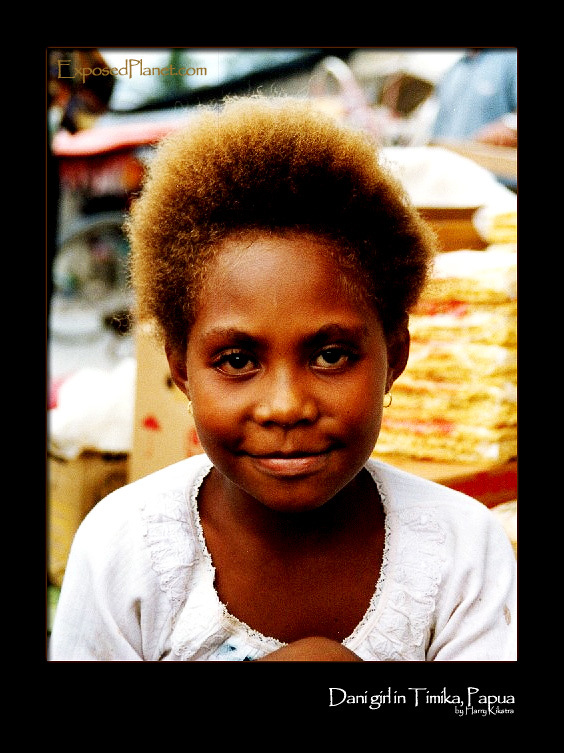 This sweet girl came up to me on the busy and muddy market of Timika, the small town near the South Coast of Papua, formerly known as Irian Jaya.She has the clear features of the Dani tribe, but could also have been a granddaughter of Don King ;-)Shot with Canon eos 500d in October 1999, scanned later.